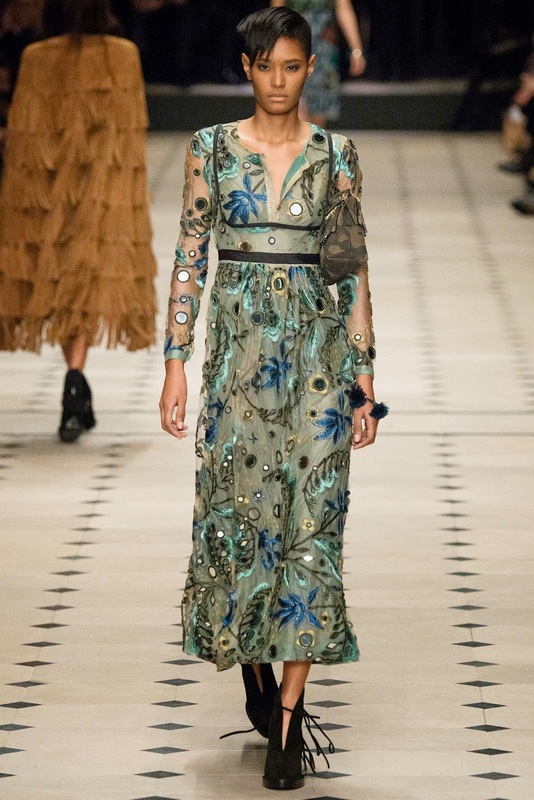 It was finally here. 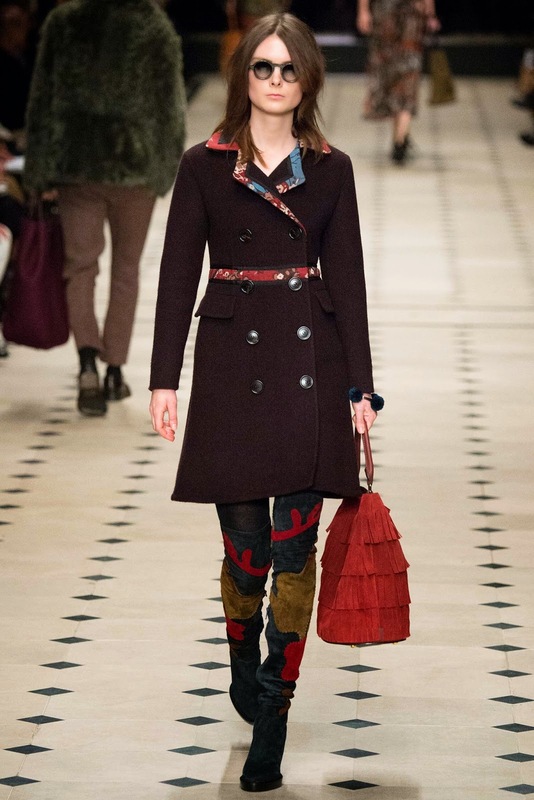 That was my reaction when I knew the day had come for the Burberry AW15 Collection to be unveiled in London's Kensington Gardens. 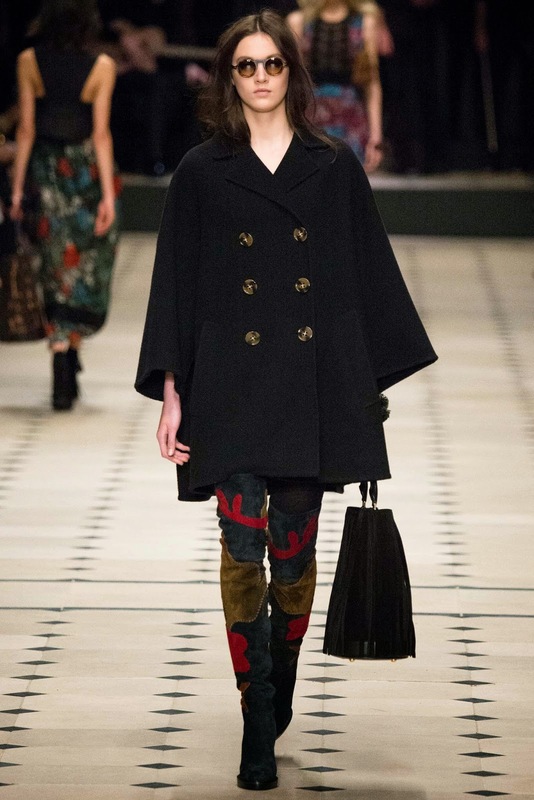 If you follow me on Instagram, and have from the start, you will know that Burberry holds a huge place in my heart. 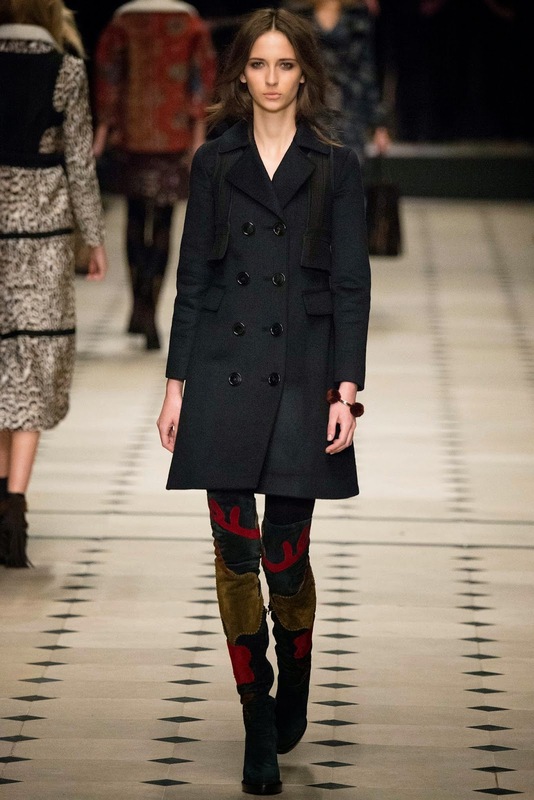 I cannot wander past a Burberry store and not go in. 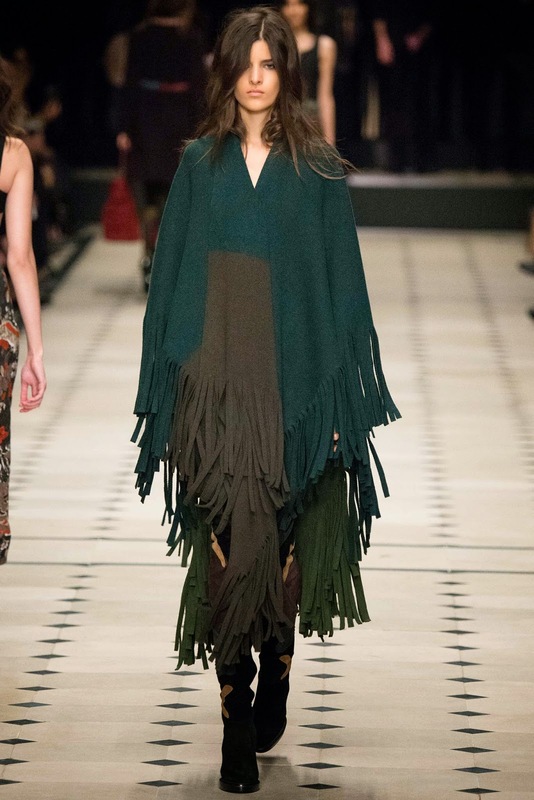 I am constantly waiting and eager for the talented Christopher Bailey to unveil new collections and new designs. 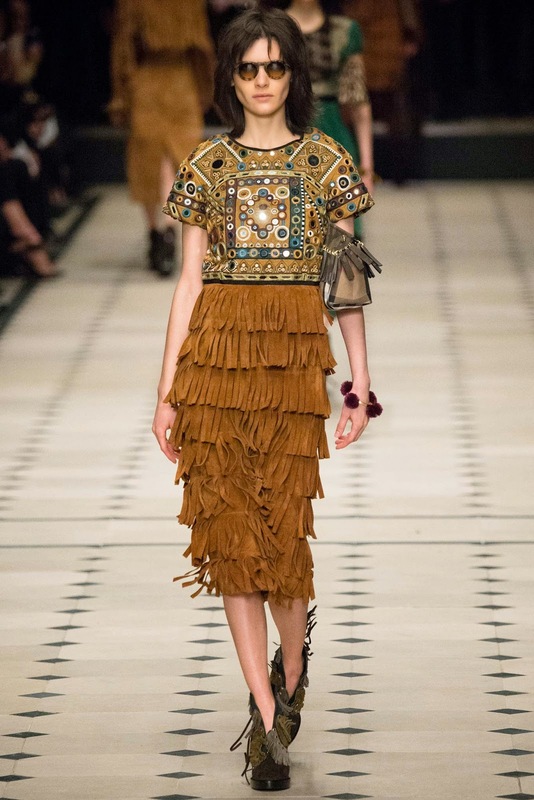 As I am writing this, I am thinking about what he will come up next for the Pre-Spring 2016 collection. 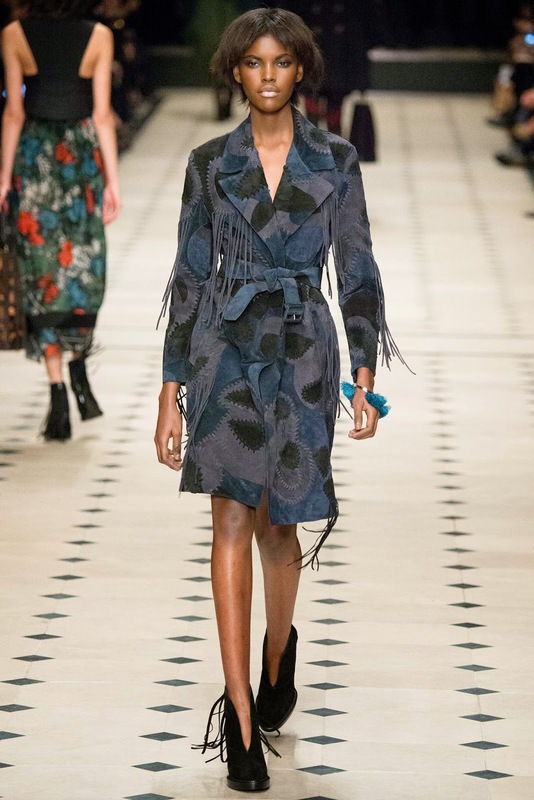 At first, I was inquisitive about this collection, I was most certainly surprised - but as the show progressed, I couldn't help but fall in love and feel inspired by it. 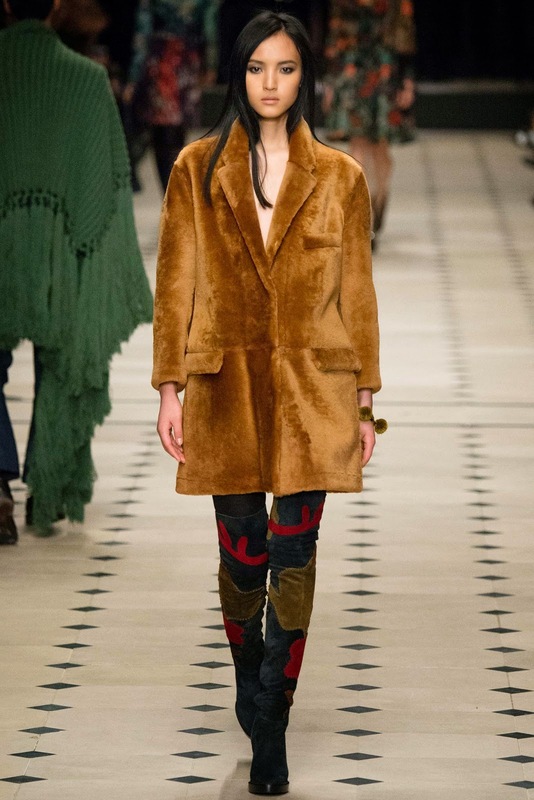 The collection was full of colour, but with AW tones, toned down to be wearable with that hint of life. 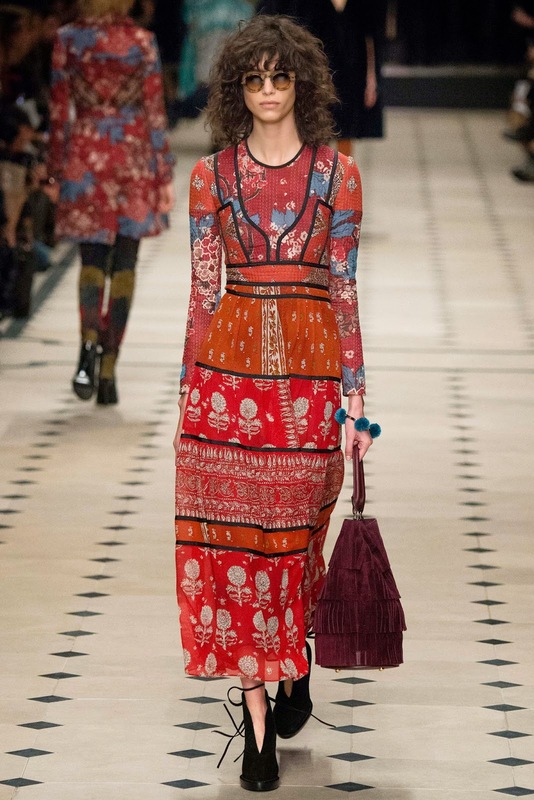 from beetle greens to crimson reds (as seen in the SS15) Bailey ensured there was variety within the pieces. 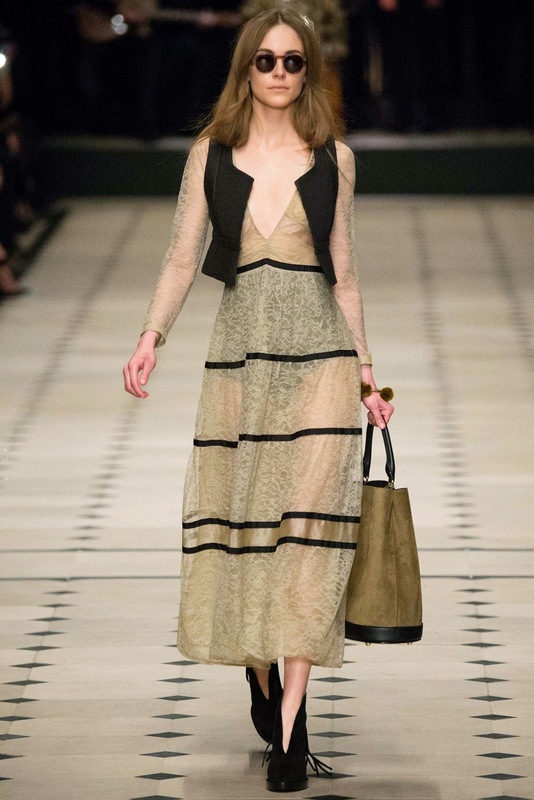 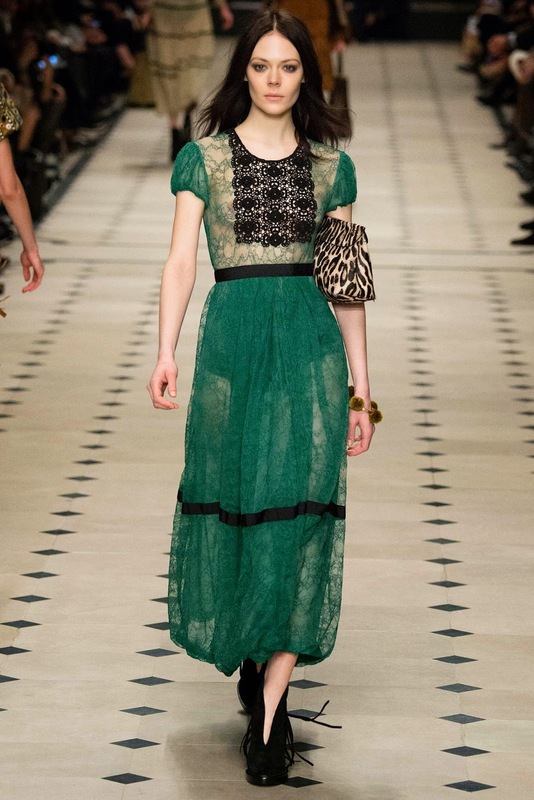 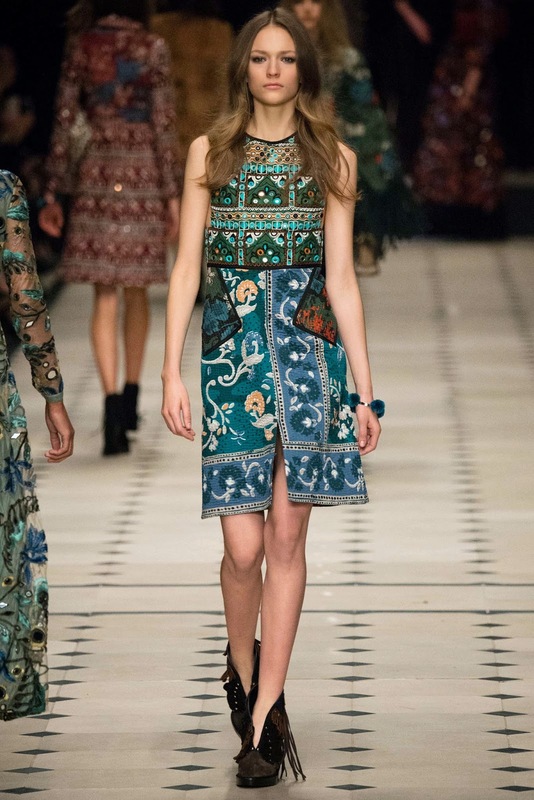 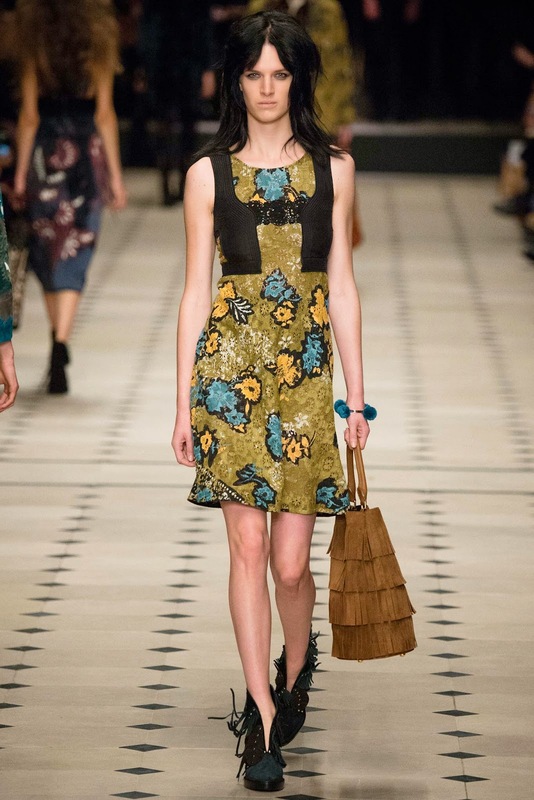 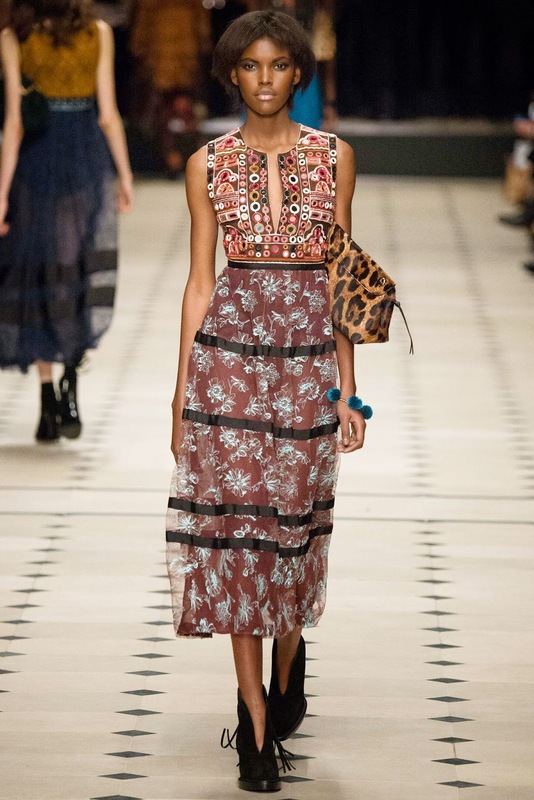 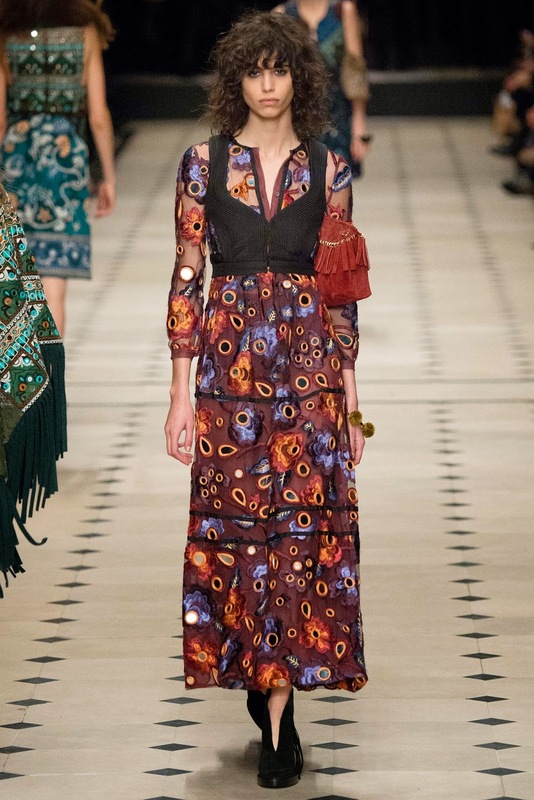 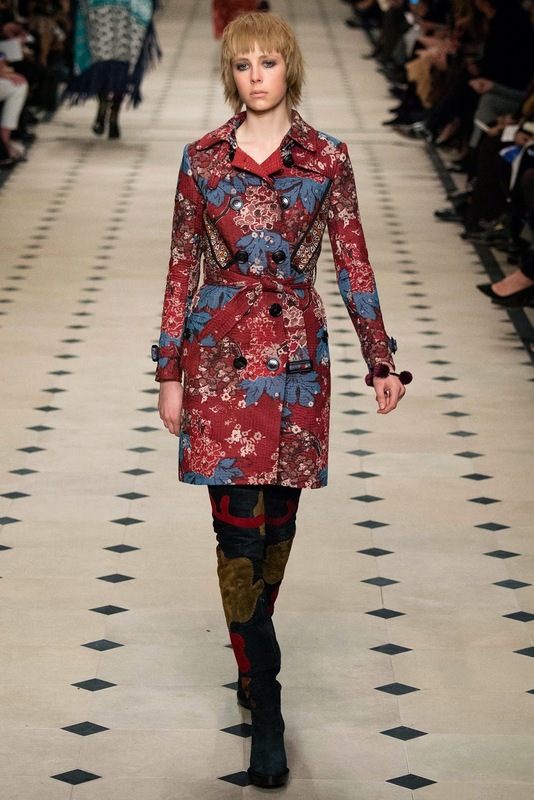 Patchwork and patterns were the main focus of the collection. 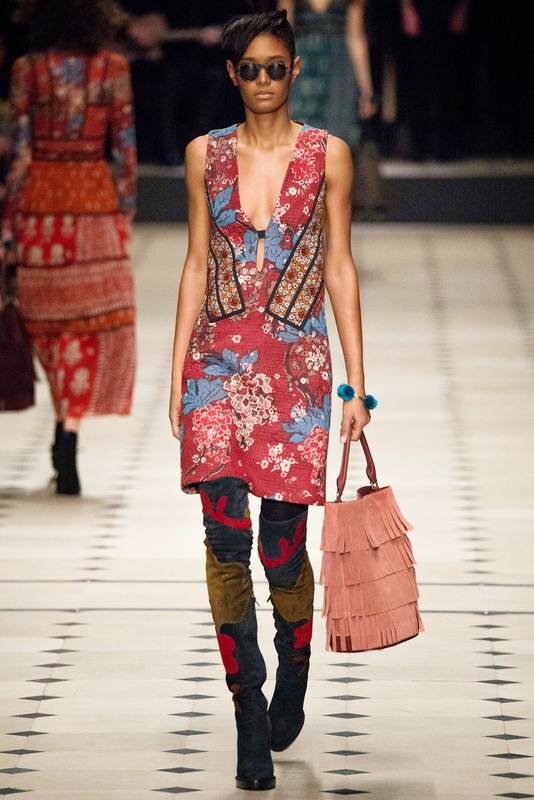 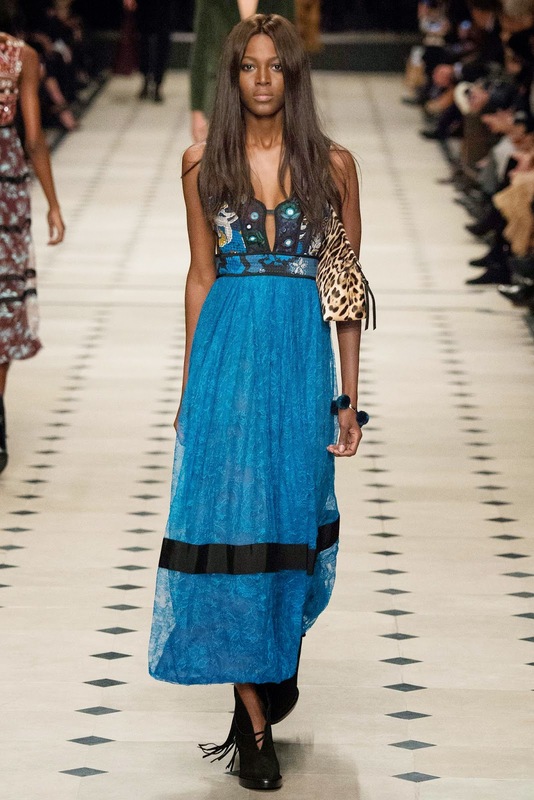 The bohemian/hippie 60s vibe was definitely surfacing the air - giving this collection a cosy and laid back feel, something I love about the collection. 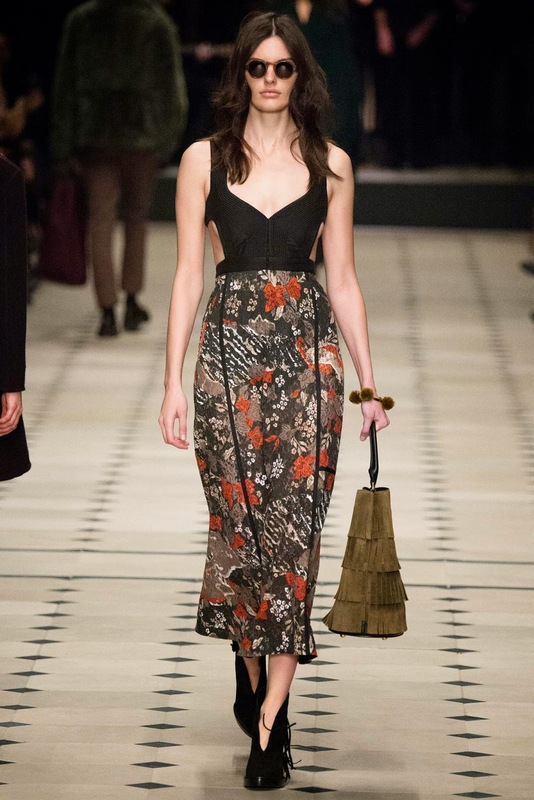 Minimal tailoring, with flowy fabrics. 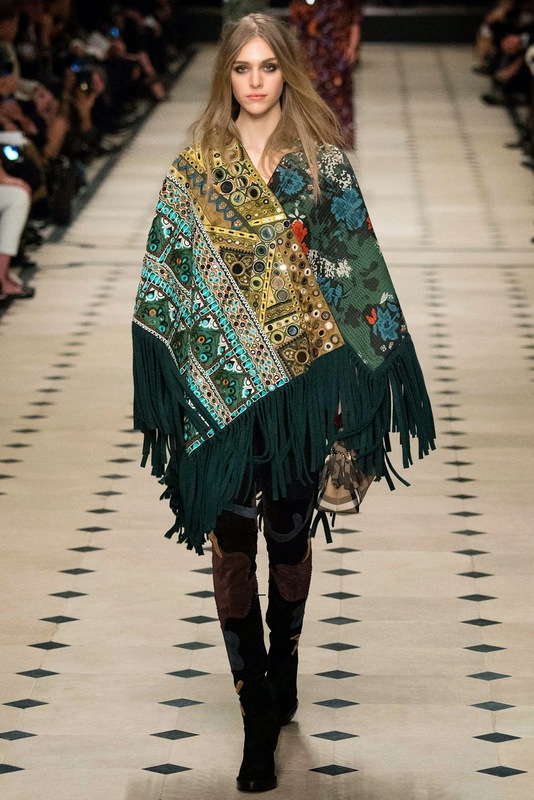 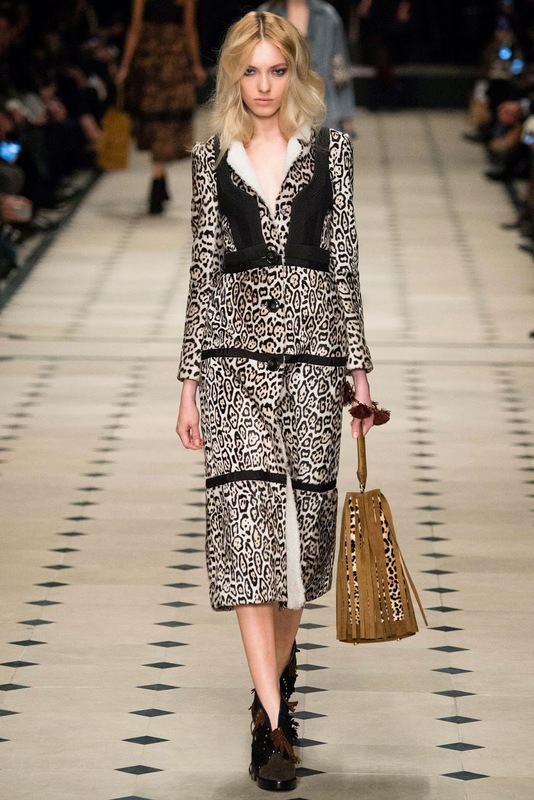 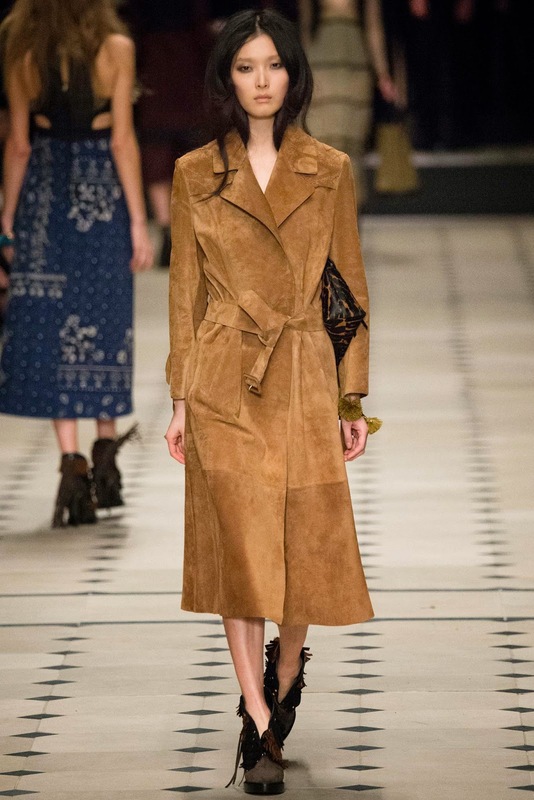 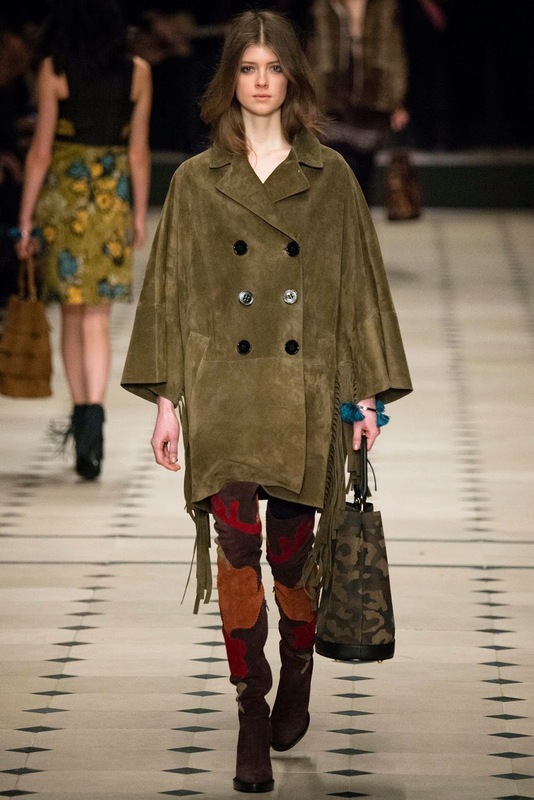 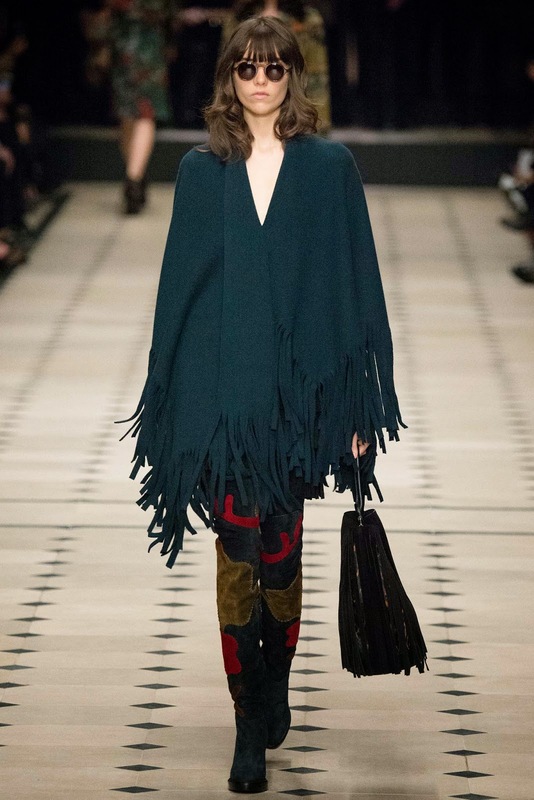 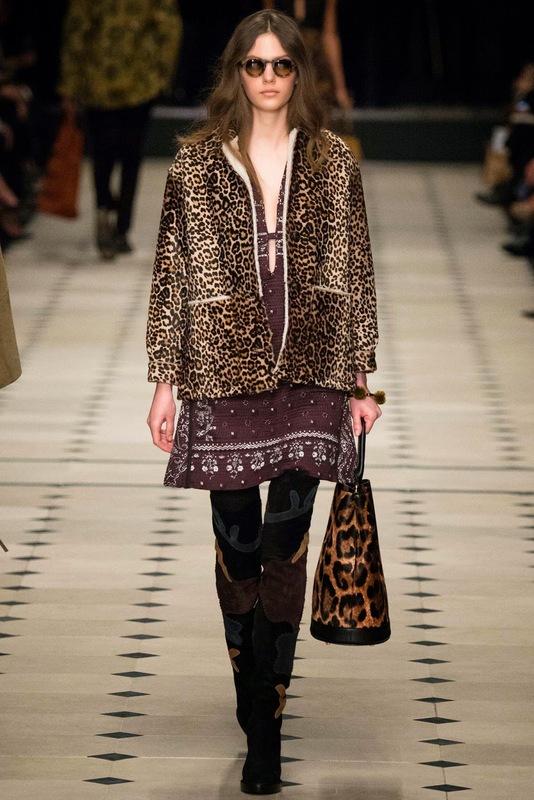 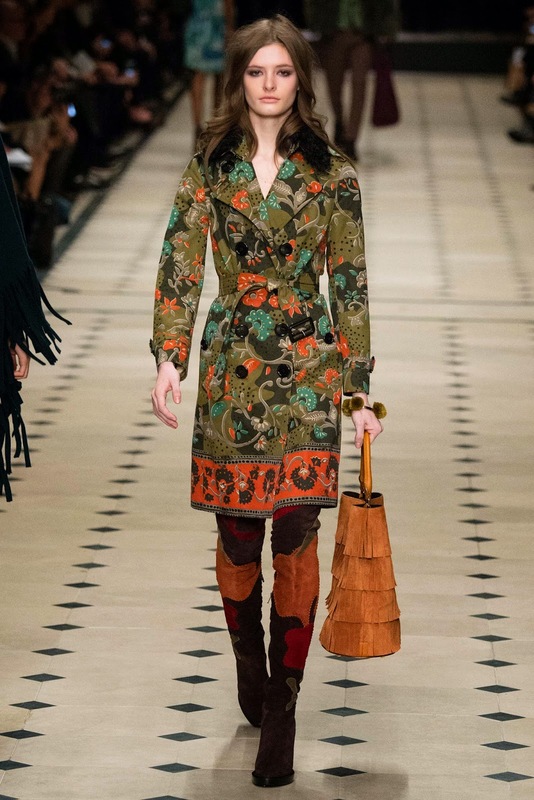 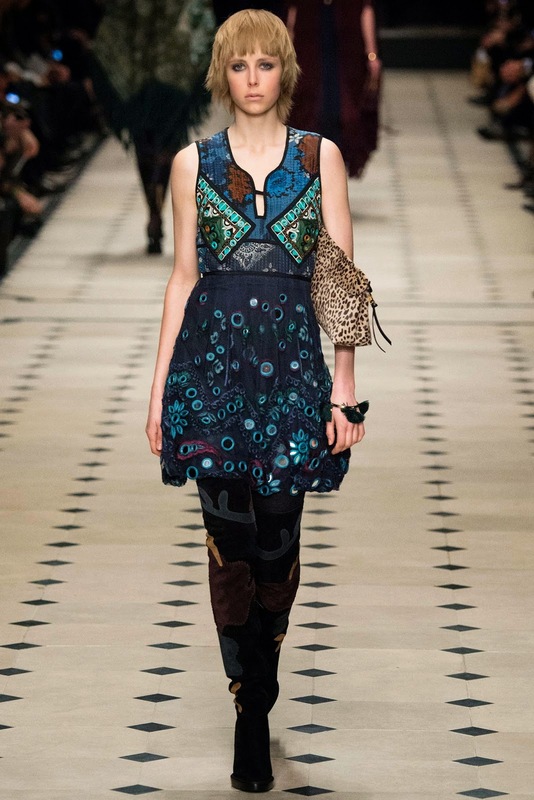 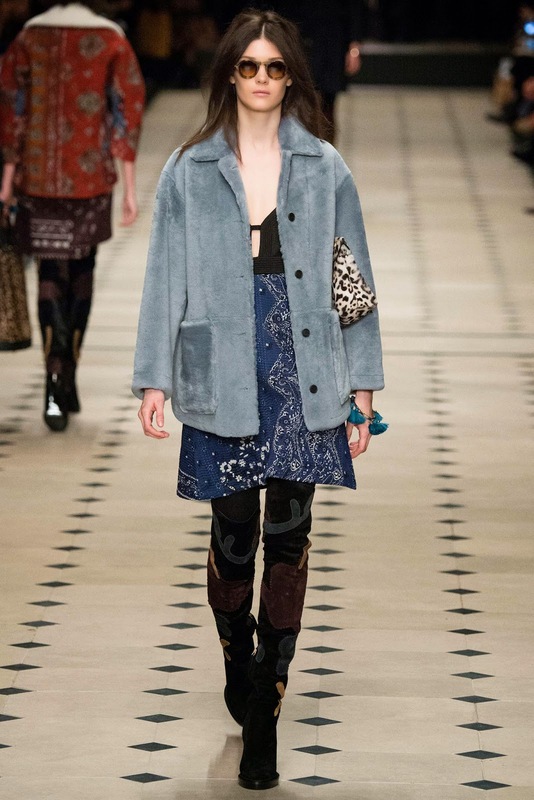 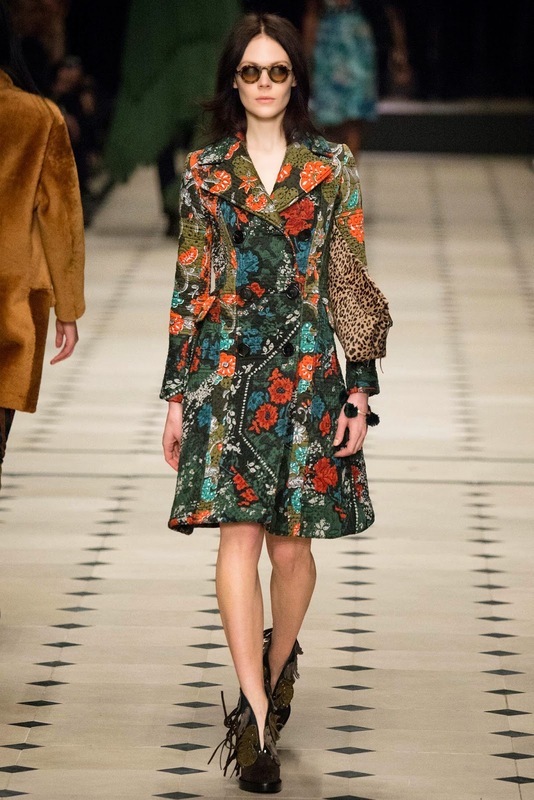 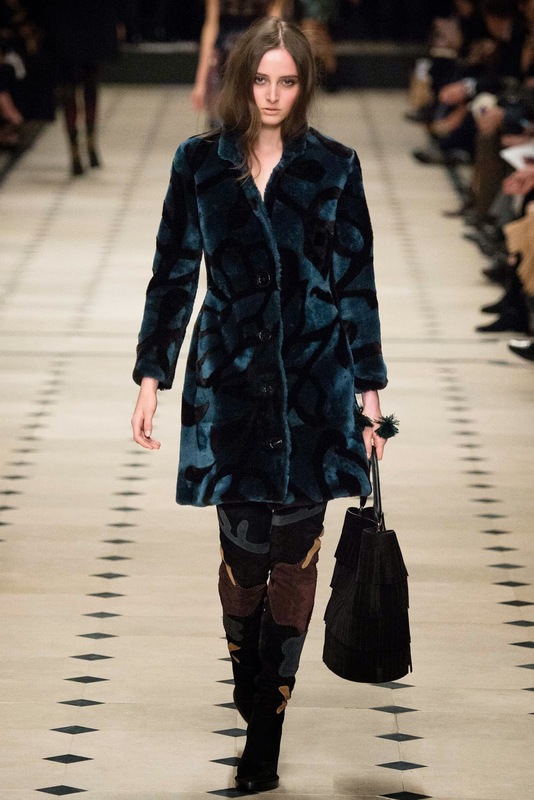 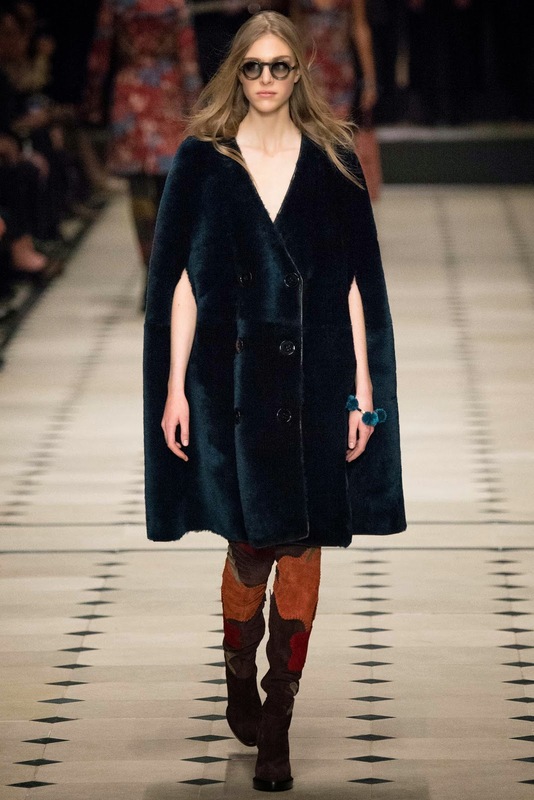 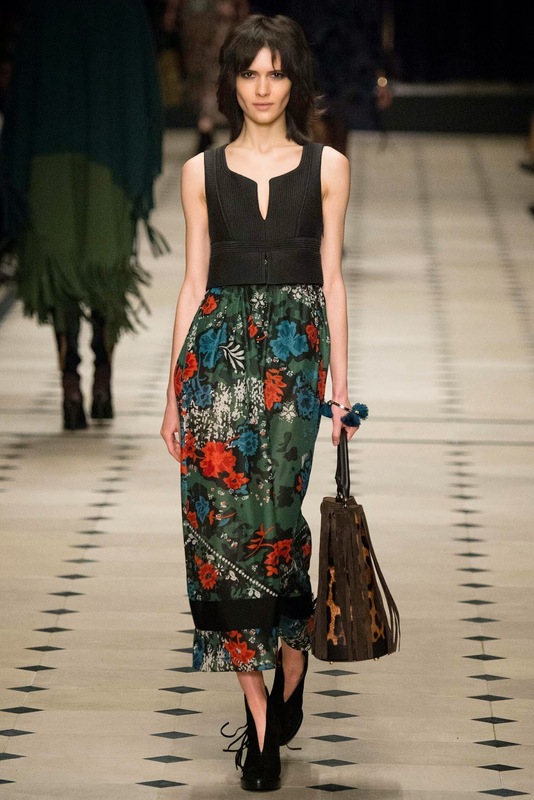 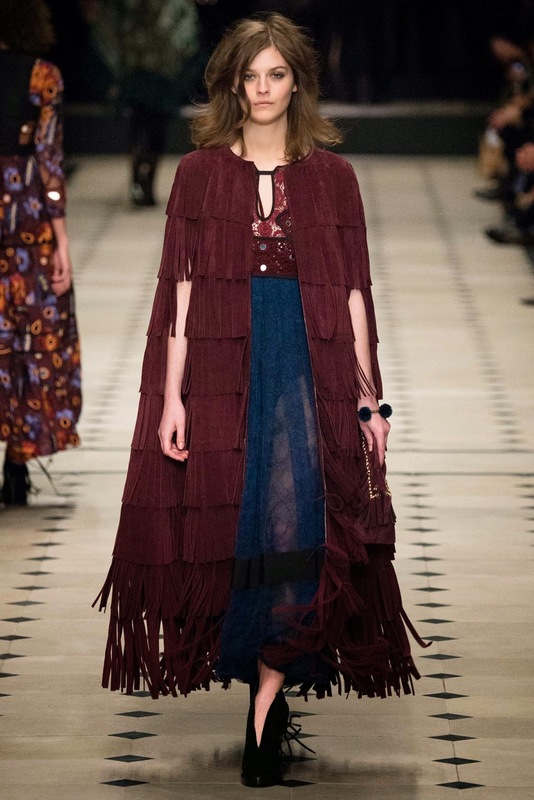 Patchwork on the iconic ponchos, aswell as suede over-the-knee boots gave Burberry a hint of life, keeping the down to earth feel of the collection very alive. 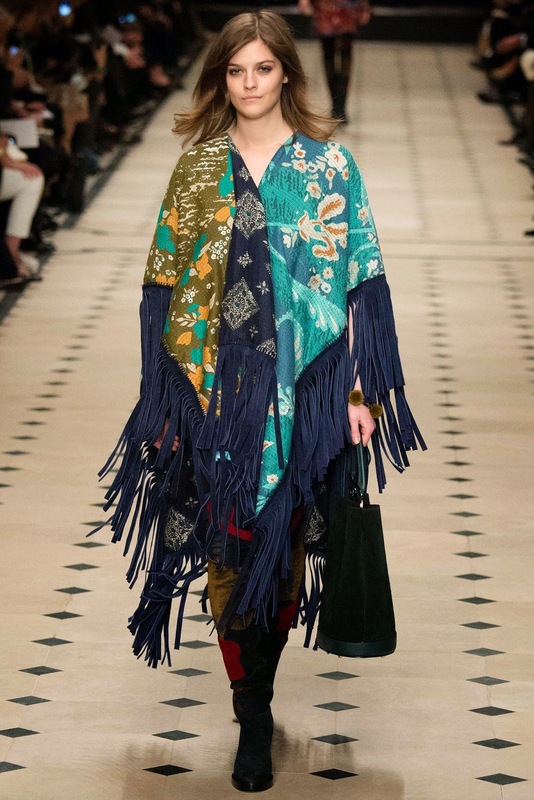 Embroideries from the menswear collection also made an appearance here, which were attached to fringed bags and skirts, aswell as floral dresses. 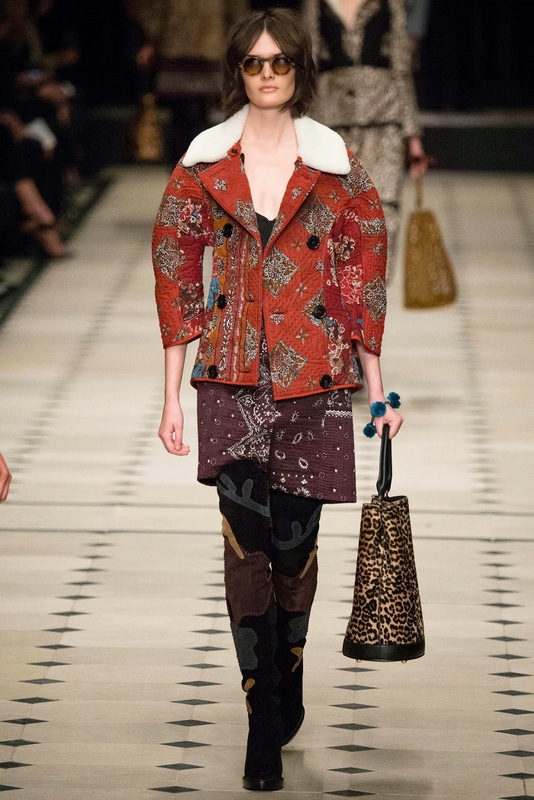 Camo prints were also featured on bags, aswell as a strong hue of leopard print, cannot wait to be wearing that this AW15. 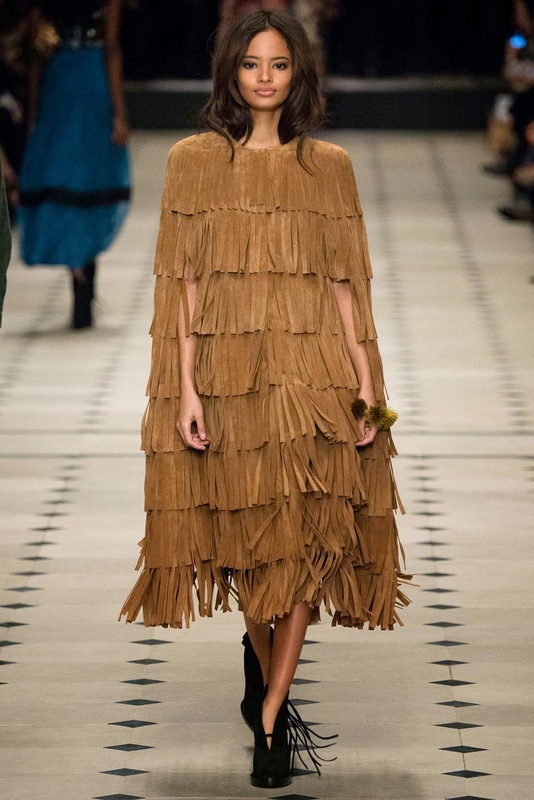 The collection not only impressed me, but got a round of applause from Cara, Naomi, Lily, Paloma, Mario, and Kate from the FROW. 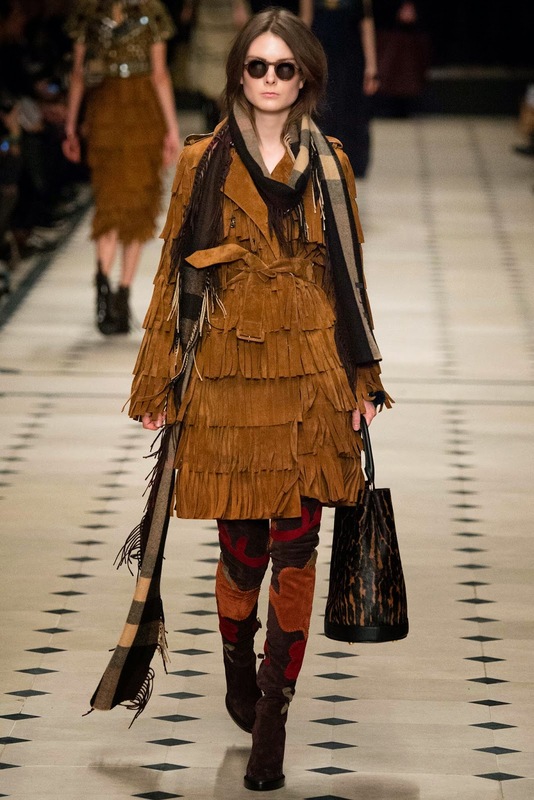 Which surely, is something to be proud of!